I am self treating possibly for myesthenia gravis; I refused the steroids, the thyroid surgery, all these being suggested without any diagnosis. I am taking an amino complete with nano magnesium and natural c. I recently added a NAC to the daily. I note the magnesium in a daily multiple vit\min is magnesium oxide of which the body can absorb only 2%. I use a nano spray under the tongue which does not produce any negative effects. Indeed, I had been so constipated that the only other form of elimination was diarrhea. Taking one amino complete daily with the supps above produced a regular stool for the first time in years. This has been my routine for almost a year. And I have dental carries that produces a continuous infection. My request for dental care is met with Xray priors even tho I have only the front teeth and the infection is obvious. Magnesium is very dear to my heart. I learned that there were not two but four (recently I read about the fifth electrolyte, phosphorous) which include sodium, potassium, magnesium and calcium. Magnesium the small paragraph said, is the great regulator of all electrolytes. I immediately got my mum the strongest magnesium tablets I could find. She used these tablets until her death twenty years later. (Her younger sister died in the same state of stress ten years earlier.) Mum was under observation in an apartment in the same hospital from twenty years ago being assessed for independent living. She was not, however, allowed to administer her own prescriptions nor take her vitamins or minerals. (Independent living assessment?) She entered hospital on a Thursday and Sunday morning, Mother’s Day, she went into distress and could not be revived. I know that I also need extra magnesium. When my hands are shaky or I get a sense of “shorting out” or disconnection along my inner arms, I know my magnesium is low. I test this by writing a few lines to check my handwriting. Then I take the magnesium with some warm water or coffee. After about fifteen minutes I try the handwriting again and always, it is much neater and more fluid and I feel more connected. Now I make a magnesium drink out of a combination of Milk of Magnesia (90ml) and a two litre bottle of carbonated water, both chilled. The mixture is then shaken for a minute and returned to the refrigerator. An hour or so later it has become clear and is shaken again. This time the bottle collapses and it becomes an ionised magnesium concoction to mix with water. About sixty ml is added to a litre of water and sipped throughout my day. The original mix lasts almost a month. I have a theory on magnesium storage. Vitamin C, I have read, is stored in the intestinal walls. Once you reach saturation, the rest is expelled as diarrhoea. I find that I cannot take near the Vitamin C when I am also taking my magnesium water. I wonder if excess magnesium is not also stored in the intestines and when vitamin C is present, less of either can be stored. It was the experience with my mum that set me upon the study of natural health starting with Adele Davis, though I had been interested in nature and natural medicine since a small boy helping a very old lady pick camomile flower buds for her husband’s tea. Last point. Walter Last is a retired German-Australian naturopath. His articles are very good. He also talks about the need for Boron which can still be purchased in Canada and the US as Borax. It is banned in the Europe and Australia. Used for its ionising action in the laundry, many people think it is a detergent but it is not. It is a mineral similar in appearance, taste and feel to calcium and important for strong bones and teeth. Soil depletion is a problem so foods are deficient in boron today. I and my dog use borax regularly. A dry finger dipped in the powder daily is more than enough to fill that reservoir. My wife and other relatives are wary of the mineral and most of my strange understanding in natural health. I would appreciate any corrections to my understanding on magnesium and boron. Your good work and the time to detail which you share are truly commendable, Dr Segura. Thank you for sharing! I cannot comment on boron as I have never researched in-depth. But as to magnesium, yeah, it is the essential relaxing mineral. The same concept of vitamin C saturation in your intestines applies to magnesium. That is how you know you exceeded your absorption capacities… when it has a laxative effect. Magnesium malate is preferred by a lot of people, as it is mostly absorbed. Take good care and I wish you the best in your health journey! Thanks for the great article, I had been using magnesium chloride flakes for almost a month now to restore my depleted condition. It had been great improvement, most symptoms like tingling all over my body had disappear, I just able to start walk around without any tingling around my body, heart puplpitation are more stable now, I expect more improvment on coming weeks. I’m still waiting to see the specialist, as my family doctor said I have stress that lead to the fatigue and heart puplpitation but it’s the naturalpathy doctor told me to take magnesium for my heart beat issue, and from that I realize I actually have magnesium depleted in my body. The only thing I want to ask you is, is it normal that everytime I do the bath or foot bath, my blood pressure (systolic one) will drop. My typical number is around 110-117, once I do the magnesium, it will drop to the range 97-108. If I cut down the dose(at current stage), there will be time that my heart will start palpitation. For the last two day, I had try those ionic magnesium, I had taken 800mg the first day and 600mg yesterday, today I did not take it because my blood pressure(systolic) had been staying at 98-108. So I use the magnesium chloride flake and oral supplment for now , as I found the ionic one goes into my body too much too fast. In the meantime, while I will monitor the amount to use and what ways I can raise my blood pressure a bit higher while taking the magnesium? That I can not even walk far at home before my body will have crazy tingling, muscle shaking., but now my condition is improved enough that I can walk around no problem, basic everyday routine at home can do without problem now. So I just wonder if I should also start taking calcium with my magnesium ? What other supplment I should take along to help my magnesium absorbsion? Sorry for using the reply post on this as I am not sure how to edit my original post. The bone broth should take care of the calcium. Generally speaking, we don’t need calcium as we do magnesium. See how it goes with a nutrient rich bone broth. Hi Gabriela, thank you so much on the advices, I will look into those. Regarding raising the blood pressure with the salt intake, can I just put in 1/4 to 1/2 teaspoon into my cooking for now? Or just mix in the water and drink it for now, while I check on the bone broth. And for Adrenal fatigue, I had only had lower blood pressure while I’m on magnesium, in my case I can have the possibility having this health issue. I just want to double check? Thank you for the information support. I’m reading those right now. Yeah, you don’t necessarily have adrenal fatigue. Although using more salt and monitoring your blood pressure might be useful. If you are not dizzy nor have other symptoms, you can just drink the broth from time to time, that will help you to balance your minerals. You can also use the salt in your cooking or drink it when you have very low blood pressure. All the best! Hi, if I suspect mild overdose of magnesium because of those ionic magnesium, I found my blood pressure is drop about 104/70, upper 4 or lower 4, this is the 3rd day, it didn’t go back up much, as I feel not as easy to detect my heart beat, I don’t have dizzy or other problem, except when sleep, it harder to sleep as my heart rate can go up and I wake up. Can I drink lots of fluid try to flush it out?, I haven’t really try that yet, I had stop taking more magnesium for now. What other things I can eat to flush out those and bring up the blood pressure? Also, from Sunday to yesterday(Tuesday )I had diarrhea, once per day, today I didn’t have it yet, I do have solid bowel today. Also lots of gas out. I suspect it’s overdose of ionic magnesium. I started last Friday on 800mg and 600mg on Saturday, but I feel my chest is a bit more relax than usual, I couldn’t detect my heart beat as easily,it had happen before when I use the magnesium flakes for bath soak, but blood pressure will back to normal the next day but this time this the 4th day, it didn’t get any worse. And day time routine doesn’t effect me. so I had stopped on Saturday afternoon up to now(Wednesday). Just provide you this extra info. Congratulations Hubert for getting a hold of your palpitations. Diarrhea is an indication that you had excess magnesium. What I would do is get a “milder” form of magnesium: magnesium taurate or magnesium glycinate and take those instead according to label instructions or instructions in this article. I think that is a more “progressive” way to do it. Best! Hello Dr. Gabriela:, it’s Hubert , it had been close to 2 months now when I start the magnesium chloride bath. So far my heart palpitation is gone, symptoms like tingling on my body, muscle shaking had been greatly improve, as long as I had enough dosage(at current stage of recovering) and not doing too much physical work, I won’t feel tingling or muscle shaking or jumping in different random area. My question is usually how long it take to recover ( in general) to the point that I can feel just like a normal person that can start doing more active life style? Because right now I found that minor tingling and muscle jump, spasm can happen when the magnesium start to wear out, so I need to take magnesium again. Right now, I’m good condition for general walking around , doing light duty work at home but not yet able to start running or heavy exercise yet, as I can start feeling tingling, muscle spasm, fatigue on muscle after I try to push my body abit on heavier exercise. So am I on a right track? Does it usually takes few months to restore the magnesium ? Or there’s other problem that draining my magnesium away. I just need to guidance to walk along my recovering process. What u know is if I stuff enough magnesium per day, symptoms does able to disappear. The only thing is those symptoms still come back once my dosages wear out. Hello Hubert, glad you are making progress. Unfortunately, magnesium is one of those minerals that is always good to replace, particularly if you have a “normal” diet. That is, magnesium deficiency is very frequent. I would read more about it in order to understand why it is so important and how our modern lifestyle is basically not conducive towards wellness. See for instance ‘Primal Body, Primal Mind’ by Gedgaudas and “The Magnesium Miracle” by Carolyn Dean. Take care! Hi Was wondering if someone ot yourself knows about any side affects or interaction with Magnesium Chloride oil and cipralex, and Clonazepam?? If you have normal kidney function, magnesium is safe. Even when there is kidney failure, magnesium oil will help. I’m sold on the benefits of Magnesium. I recently went cold turkey from my BP medicine, Lisinopril after ten years of use and developing terrible symptoms that I related to it. My BP is perfect without it after using for three weeks. Great news! Thank you for sharing. I first want to say you are a wonderful person sharing this wealth of knowledge with us. You must be a kind good hearted person and I appreciate you. I’ve finished reading Dr Carolyn Deans book ” The Magnesium Miracle”. I want to share with you and your readers my experience thus far. Ionic Magnesium liquid form worked better for me than taking Magnesium Oxide supplement pills. I developed a bad rash on my back from that so stopped using it. I take Ionic Magnesium twice a day. Once in the morning and then after dinner. I’ve never experienced diarrhea. My heart palpations from my Mitral Prolapse Valve have stopped. My pressure is under control without harsh meds. I take warm-hot baths ( 30-60 mins ) if BP gets elevated and it seems to bring it down to normal numbers. Most Doctors don’t know or understand about Magnesium deficiency or use. My current Primary doctor said most people are not deficient. I had RBC magnesium blood test and my numbers were 5.3 . It’s recommended to be 6.0-8.0 I think. I will continue to take Magnesium because it is safe ( for me ) and has very little side effects. I also spray. Magnesium oil on my feet at night for better absorption . My friends , family continue to laugh and doubt me but time will tell if this is my ” fountain of youth”. Oh Lenny “Blue”, that is great to hear! I’m very happy for you. Thank you for sharing! Do you know if it is possible for magnesium to accumulate in the system when using ace inhibitors such as fosinopril? I know I have read some information stating that they retain magnesium as well as potassium. I started using transdermal magnesium just before christmas and have been getting heart palps, slightly increased pulse ever since. I’ve been off mg for a few weeks and still have these symptoms (nothing has changed other than starting the mg). I am going to ask my doctor about changing my medication to something that doesn’t impact electrolytes such as a beta blocker. If I do have excess magnesium in my cells (blood levels have been tested and OK), will it detox on it’s own over time wihtout the complications of these BP medications? Any tips to speed this up? I don’t think the magnesium is the culprit here. ACE inhibitors retain potassium mainly through their interference on aldosterone metabolism. Typically sodium, chloride, potassium are involved. In general, any potassium retained doesn’t lead to palpitations. Any changes in magnesium should be secondary and for practical purposes, negligible in terms of clinical manifestations such as palpitations. But to make sure, you can ask for a blood test to check out potassium and magnesium levels. Hello I thought i would just ask some questions like, “If people have such bad digestive issues, shouldn’t they be getting magnesium through the skin as it is the easiest and most efficient, without side effects?” As far as I know the skin is the largest organ in the body with the highest surface area and therefore can take in a lot more than the gut. Wouldn’t taking magnesium chloride through the skin be better in higher concentrations like in a spray rather than diluting in such a large volume like a bath and wasting whatever you dont use? That is a valid concern. A lot of people use spray bottles. I would however recommend whatever is practical for you and that it is always of utmost importance to work on healing a leaky gut. I suffered from Magnesium deficiency over 40 years until about 4 years ago when I was researching why my myofacial trigger points kept recuring. It was a God send and cured many other problems as well. No wonder they call Magnesium “The Master Mineral”. Hi. I just started taking magnesium oil a few days ago. I only used about 6 sprays. I woke up nauseous, in severe pain, and Ive been sleeping on and off all day. Not sure if I should continue. My body reacts to almost anything. It is extremely sensitive. Any suggestions would be helpful. I have a rare pain condition associated with the sensitization of the central nervous system if that helps any. Maybe is a detox reaction. I highly suggest you read “Why Can’t I Get Better” by Richard Horowitz. Your reaction to magnesium might be a sign of an underlying problem. Hi’ I wanted to know if magnesium raises ferittin levels?. My doctor told me that my levels were high (256). I also noticed that when I spray the oil on my legs and arms they feel very weak and shaky. Is this normal? Thank you Gabriela for responding so quickly. I hope you received the email that I sent to. I wanted to mention what I went through with my health over the last couple of months to perhaps give relief and knowledge to those that maybe going through the same thing. I am 49, I’m on no medications. As of two months ago I felt that my health was very good. I had been dealing with a left ear twitch. I was told that it was a magnesium deficiency. I purchased a bottle of Magnesium 500mg that also had a 1000mgs of calcium with it. I might add that it was Magnesium aspartame. Here is where my problems began. Within two weeks I became very very depressed with terrible and deep emotional thoughts. My groin area was inflamed, leaving me in a fetal position in most cases. I checked myself into the hospital. They couldn’t find anything and sent me home after a day. I made a trip to my natural path doctor. She explained the whole process about the dangers of combining Magnesium with Calcium. She also said that I was magnesium deficient. My marker was 45 from a scale of 42-68. Since then I have tried on and off different ways of trying to raise my levels. Orally or transdermal. I don’t know which is best or fastest and for how long. Since all of this I have not been feeling well. I mean it feels like I have a low voltage wire under my feet send current through. My stomach has a sensation inside that’s very annoying. Through this process I also found out that my ferritin level was high, 256. My natural path is great but not one with many words. I have read your comments on this blog and get more out of your breakdown of issues. All I want to know is which method have you found and heard to be the best for raising magnesium levels? Transdermal or orally? What should I feel or expect during this process? With ferritin levels being 256 I’ve been told to do a therapeutic phlebotomy of 1pint of blood every 2weeks. Is this the fastest way? Why not twice a week? Other than the calcium, you might be too sensitive to excitotoxins: aspartame and monosodium glutamate. I would eat an anti-inflammatory diet free of toxic additives. That sounds very general and the devil is on the details. To get a better idea of how you should take care of your diet, I would suggest Gedgauda’s book “Primal Body, Primal Mind”. She condenses quite a lot in one book. There are other great books and I’m also working one, but I think Gedgauda’s book will give you excellent resources and tools. That will give you more ideas. As for the phlebotomy, excellent idea. Most folk with high ferritin have a hard time finding a practitioner who would prescribe it. Ideally it could be once a week. But better something than nothing at all. Thanks for your input. I will purchase the Epsom salt. I noticed that flakes are available. Does it matter which one, flakes or Epsom salt? Also will I get the same results if I do a foot bath vs a bath? If I did either of these daily. Will that be to much? The flakes should be magnesium chloride which will also work. I would get whatever is more readily available. A full bath at least twice per week would be great, and foot baths the rest of the days. It is very relaxing. If you have diarrhea, you’ll have to cut back on your amount of magnesium. Hello, I have a question about magnesium also. I will like to bring my levels up also. I currently drink a magnesium powder but don’t know if it truly builds levels or just make me feel good. I would love to do a bath or foot soak but don’t know which is more affective. I also don’t know if the flakes are stronger in dose verses the Epsom salt. I can purchase either one. Actually, I don’t even understand how a bath helps build or raise levels. Lol! 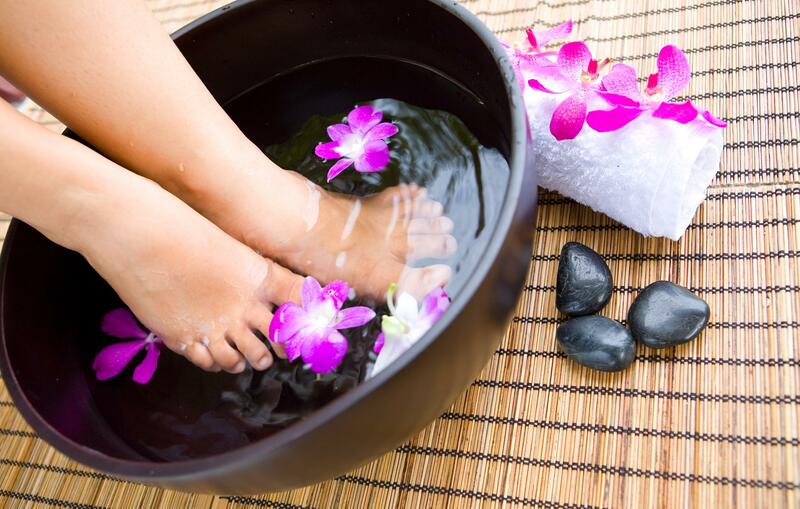 The magnesium gets absorbed through the skin, so the baths are more effective than the foot soak. More skin gets exposed to magnesium during a bath. It is preferable to take any magnesium bound to aminos orally. Have a look to your magnesium powder, it should say what it is. Magnesium glycinate, magnesium malate and magnesium threonate are great favorite ones. Regarding boron, arthritis is caused by a deficiency of it. Dr Rex Newnham, 1963. I have been making a mix of magnesium chloride and borax. Borax is less toxic than table salt. Magnesium, boron and vitamin D, sunshine should strengthen bones. Osteoporosis and hip replacements should not exist. Calcium does not strengthen bones. Boron also gets fluoride out of the body and kills mycoplasmas. Why I get my health information from historic sources is that IQ’s have declined by 14 points over the last 100 years. Very good points. I still haven’t written about it, but I do highly regard boron. I take it every single day. It also suggests that there is a stealth infection behind arthritis, i.e. mycoplasmas. Many people with rheumatoid arthritis have high mycoplasma counts. One gets mycoplasma pneumoniae. I think that most cases of arthritis are simply caused by a lack of boron, but magnesium can unlock the joints. Gulf War syndrome is thought to be caused by mycoplasmas. Standard medical tests do not detect them. Most mycoplasmas are harmless. Some researches also suspect sarin gas for Gulf War syndrome. Sarin contains sodium fluoride, plus 3 other ingredients. Apparently, you can buy sodium fluoride at Wal-Mart , Walgreens and other American retailers. Fluoride is a neurotoxin and can drop IQ’s by 7 points. Very sorry, Gabriela that I left your magnesium thread, but with natural health, many things are related. You should also take a look at organic silca. Dr Loic le Ribault, a geologist, was thrown into jail. Most of my medical heros had brushes with the law. I have researched this topic, in fact, I tried the protocol for Gulf War Syndrome. That is, Garth Nicolson’s research on mycoplasma fermetans and its treatment. It was a gruesome protocol, but for me it was worth it. I complemented it with the treatment for arthritis. Now, I’m trying iodine and never felt so great. It has been a long path, but a worthy one. Greetings, here’s a question. Does high levels of ferritin with normal levels of iron mean you have hemochromatosis? Does high ferritin cause the body to ache or feel not well? When doing blood phlebotomy are you loosing minerals like potassium and if so what’s the best way to replenish these? Gabriela, I am very familiar with iodine. Started with Lugol’s iodine solution. Now using povidone iodine. Have changed the delivery system and am curing colds and flu’s in minutes. To challenge you, 2 years ago, I reversed a 3 year old boy’s autism. His remedial teacher reported that his performance had increased by 1000%. His mother said he longer shouted when his computer time was up, or when he was driven to an unknown place. I just emailed his mother information about the supplement. He lives over 400km away. Unfortunately, he has to stay on the supplement. When his mother takes him off it, he regresses, but autism can not be cured, but maybe dementia could. That is a wonderful testimonial, thank you for sharing! Hi Gabriela, my symptoms include heart palpitations, excessive sweat , feeling warm and loss of urine especially during exercise / hot weather outside / and stressful / nervous situations.. I was told to take magnesium to help with my adrenaline .I’ve had these symptoms for about 7 years now.. And it’s gotten worse overtime .. Do you think magesium would help cure such a deficiency and balance my sympathetic nervous system? Will it take months for recovery since I’ve been depleted for so long? . Example occurred after physical trauma which impacted my nervous system and fight or flight abilities. Magnesium is always good to supplement, regardless of your issues. You can try magnesium glycinate and/or magnesium threonate. I would also suggest you do a diet which is friendly to your nervous system and brain, i.e. keto diet or paleo with moderate protein restriction and relatively low in carbs. Animal fat, coconut oil and other healthy fats are good for your brain. Avoid GMOS, trans fats and processed foods like the plague. Avoiding gluten is also important for mood health. You really want to find out about it. No nervous situation really gets better until you tackle heavy metal toxicity. Hi Gabriela, I got tested by a chiro / applied kinisieology Doctor and I don’t have traces of heavy metal at all. He did find my body not being able to break down adrenaline causing all of those symptoms. He put me on omega 3 and magnesium and wow! I am doing so much better !! No more heart palpitations and the other symptoms are minimizing as the days go by. Do you know how long it takes for magnesium to build up in our system? Thank you!! It could take 3-6 months, maybe more depending on the deficiency. Magnesium is one of those supplements that are good for a long term basis. Best! I started to Take Magnesium Glycinate about a week ago. Mainly because i have Anxiety/Stress Issues and I was hoping it would help.. I have noticed that my moods have been better and I also take 500mg of Taurine with it in the morning ((along with 200mg of Glycinate)) I also take a Procbiotic and MegaFood Once a Day womens Multivitamin (( I Make sure that I dont take the mag at the same time as the other stuff)) I also take another 200mg of Glycinate at bedtime, However whenever I wake in the morning I usually have to go straight to the bathroom and have Loose stools (( not diarrhea)) and I will normally go 2-3 times in the morning, but every time I go it seems to get thinner and thinner (( like Ribbon thin))? I have read that Glycinate is supposed to be easy on the stomach so I dont understand. I have also Gone Gluten and Dairy Free. So im not sure If my body is just reacting to a whole new diet as well? The Thin stools have me concerned? Should I maybe switch to an Oil or combine the too? Someone told me to take Glycinate in the Morning with the Taurine and to take the Malate at night? I really want this to work for my issues and without the Glycinate I did suffer from Constipation issues… but my diet was also poor.. Im just confused.. I think the last plan sounds good, malate at night and glycinate in the morning. Make sure the diarrhea is not due to the probiotic too. A little bit of dose adjusting and I think you’ll have regular stools. Congratulations on the effort of adjusting your lifestyle. Hi Gabriela, I just read through your informative article, as I am looking for a protocol to help improve my 85-year-old father’s health. I believe he has heavy metal toxicity: many of his symptoms have intensified since he had a slough of dental work (including several root canals) done over the past few years. The most troubling symptoms are extreme restlessness, anxiety and depression. He also complains of unrelenting constipation. He sometimes gets confused and during the recent intense heat wave, had a few episodes where he did not recognize his own street and house. Visits to his doctor and hospital turn up nothing. I would like to implement a few simple strategies that might help his overall mental and physical health. I will begin with a few weeks of liver and kidney support, and then hope to move towards gentle detox. Can magnesium play a role? Not sure which forms to try, as he is dealing with the multiple (though surely connected) issues of anxiety, cognitive issues, fatigue and constipation. My challenge is that he is often reluctant to take anything, as “it doesn’t work anyways” (his words!) Your words of wisdom would be greatly appreciated! If he is cooperative, I would give him from 1/2 to 1 teaspoon of apple cider vinegar diluted in a bit of water, given half-way through his biggest meal during the day. Then I would see about activated charcoal in tablets, that will help to detox and restore kidney function. I feel as if this article itself is a blessing. I can’t express how thankful I am up to have found your article and how incredibly insightful your blog post is about informing us of the many Morales of this beautiful mineral known as magnesium. The reason why I’m so moved by this post is because of how magnesium is able to treat diabetes, which is the most chronic condition that my mother suffers from. I don’t exaggerate when I say how informative and insightful your content really is. Hi Doctor, my ferritin is over 500, been high for years – can Iodine supplemetation help and how much should I take? And can I supplement with magnesium with ferritin levels this high? I would check if you’re a carrier of the hemochromatosis gene with transferrin saturation levels and genes, you might be a good candidate for bloodletting. Magnesium is good, iodine can help but it is tricky to use.